Application: Roof Cab Marker, Roof Running Light, Clearance Light. Perfect fit & No leakage. Neither any cutting, modifying nor wiring is needed. LED Type: 5-5050-SMD LED High Power. High performance LED, long lifespan, superior illumination & stability. This is a set of LED roof cab lights with a dark smoked lens cover and 5 pieces of replaceable 5-SMD-5050 T10 LED bulbs inside that fits most SUV, truck, RV and van. This new look is much thinner and nearly half of the height of conventional roof cab lights, giving your vehicle quite a mysterious look. Application: Roof Cab Marker, Roof Running Light, Clearance Light. Perfect fit & No leakage. Neither any cutting, modifying nor wiring is needed. LED Type: 6-5730-SMD LED High Power. Color: Amber. High performance LED, long lifespan, superior illumination & stability. 10X Red 10X Amber Mini 12V DC 3/4" Round Side 3 LED Marker Trailer Bullet Light, Our US warehouse no service for Canada, Canada buyer order it will send it from China. Product Description Item Detail * Low power and current draw- long life LED ! * Quantity ：10X Red 10X Amber * 10X Red 10X Amber LED Clearance Marker Light * Grommet Included for 3/4" Mounting Hole Specifications: * DOT & SAE approved Guarantee quality and Legal use. * 2 inbuilt long life superflux LED's * Water and Dust Resistant * 2 wire ( black & white ) – 300 mm. 5pcs Smoked LED Roof Top Truck SUV Cab Marker Running Clearance Light Set WHITE. Body Color: Smoked black finish. Built with 12 White LED lights inside each light with smoked lens. 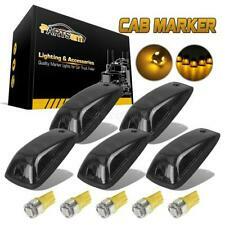 5 x Cab Marker LED Lights Assembly. Replaces oe number : 10360880. "Dorman Side Marker --. 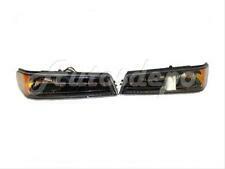 Notes : Side marker lighting exterior lamp type; Installation hardware included; 2 bulb quantity. Location : Left, Front. Condition : New. Therefore all implied warranties that may apply to your part are limited to the duration of this written warranty. Application: Roof Cab Marker, Roof Running Light, Clearance Light. Perfect fit & No leakage. Neither any cutting, modifying nor wiring is needed. LED Type: 6-5730-SMD LED High Power. High performance LED, long lifespan, superior illumination & stability. This Hi-Five Cab Lamp kit gives truck owners a simple and easy way to add these lights on to their vehicle. LED bulbs are replaceable. Classic Ford OEM style amber finish. Made with sonically sealed lens & housing. All International orders will need a phone number. All orders from Canada will need a phone number. Application: Roof Cab Marker, Roof Running Light, Clearance Light. Perfect fit & No leakage. Neither any cutting, modifying nor wiring is needed. Color: Amber. Other Accessories NOT Included. 5 x LED Bulbs. The compatible vehicle lists is only partial lists,no fully included due o Ebay listing compatible vehicles limitation. IF your car plug is 3157 3156，the item is fit your car . 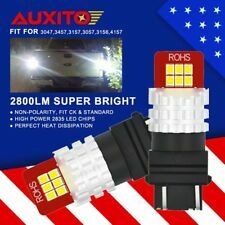 DescriptionThis listing features one pair (2 pieces) extremely bright 3157 3156 xenon white 144 SMD high power LED bulbs with projector lens for turn signal light, backup reverse light tail light, brake light, etc.It is 360 degrees shinning, for 144pcs 3014 chips SMD, it is triple brightness than the normal one in the market.SpecificationsLED Type: 144-pieces high power 3014 SMD per bulb with optical projector lens.Warranty: Full "ONE YEAR" guaranteed on quality.Color: 6000K Xenon White.Package Content: One pair 144 SMD 3157 xenon white LED bulbs.Light Output: 1400 lumens per bulb, total 2800 lumens.Working Voltage: 12v-24v. Canbus: No.Size: as photo show.Cross Reference: 3156, 3056, 3356, 3456, 4156, 3157, 3047, 3057, 3357, 3457, 3757, 4. Osram Sylvania ZEVO LED Miniature Light Bulb. Sylvania Automotive - Bulb Lookup Guide. Item 161958120338 - 194 T10 Wedge W2.1x9.5d Amber. Item 131709470322 - 194 T10 Wedge W2.1x9.5d White. Item 131814625864 - 194 T10 Wedge W2.1x9.5d Red. This item is Newest design 3157 pair 2835 high power SMD bulbs Pure bulbs Constant Currency LED Driver Transforer With overload protection Short circuit protection and over temperature protection Technical details: Voltage: 12V 24V DC Color: Xenon white Led bulb: 12pcs 2835SMD per bulb. Long life. Full color 6063# aluminum parts, concave convex appearance, increase the heat dissipation surface, Perfect heat dissipation. Osram Sylvania Premium LED Miniature Light Bulb. Sylvania Automotive - Bulb Lookup Guide. Item 161956883825 - 194 T10 Wedge W2.1x9.5d Amber. Item 141885730277 - 194 T10 Wedge W2.1x9.5d White. Item 131709363584 - 194 T10 Wedge W2.1x9.5d Red. Application: Roof Cab Marker, Roof Running Light, Clearance Light. Perfect fit & No leakage. Neither any cutting, modifying nor wiring is needed. 5 x LED Bulbs. LED Type: 5-5050-SMD LED High Power. High performance LED, long lifespan, superior illumination & stability. Osram Sylvania ZEVO LED Miniature Light Bulb. Sylvania Automotive - Bulb Lookup Guide. Item 131709470322 - 194 T10 Wedge W2.1x9.5d White. Item 161958120338 - 194 T10 Wedge W2.1x9.5d Amber. Item 131814625864 - 194 T10 Wedge W2.1x9.5d Red. Part Number: 1631208. Application Summary - 2000 : Chevrolet Colorado 2009-05. Key Search Words - 2000 : Side, Marker, Light, Assembly, Assemblies, Lights, Markers, Sides. Exterior Lamp Type : Side Marker Lighting. Part #: 1631208. Warranty Type: Manufacturer Warranty. WARRANTYWarranty Duration: 1 Year. Installation by qualified personnel only. "Dorman Side Marker --. 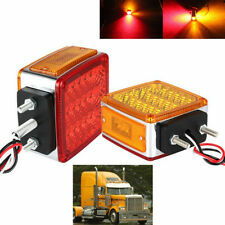 Notes : Side marker lighting exterior lamp type; Installation hardware included; 2 bulb quantity. Condition : New. Therefore all implied warranties that may apply to your part are limited to the duration of this written warranty. Kelvin (Color) - 5000K White. Item 162693644790 - 2825 T10 Wedge W2.1x9.5d White 6000K. Item 132347881326 - 2825 T10 Wedge W2.1x9.5d Red. Item 142524847098 - 2825 T10 Wedge W2.1x9.5d Green. Item 132347818675 - 2825 T10 Wedge W2.1x9.5d Orange Amber. Part Number: 1631208. Our administrative offices are located in Union, New Jersey and distribution facilities are located throughout the US. The item specifics section also contains important details. Application: Roof Cab Marker, Roof Running Light, Clearance Light. Perfect fit & No leakage. Neither any cutting, modifying nor wiring is needed. LED Type:5-5050 -SMD LED High Power. High performance LED, long lifespan, superior illumination & stability. 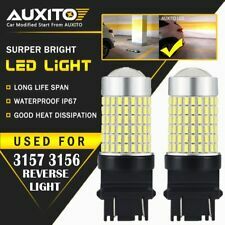 --- [ ] (https://www.ebay.com/itm/Alla-Lighting-194-LED-License-Plate-Side-Marker-Light-Bulb-Glove-Box-Lamp-White-/183282388236) --- [ ] (https://www.ebay.com/itm/Top-quality-US-seller-100-Satisfaction-Tech-support-/183164232189) --- [ ] (https://www.ebay.com/itm/Alla-Lighting-LED-194-License-Plate-Side-Marker-Courtesy-Light-Bulb-Lamp-Yellow-/183291791363) --- [ ] (https://www.ebay.com/itm/Alla-Lighting-6000K-7443-30-LED-Front-Turn-Signal-Lights-Blinker-Bulb-Lamp-White-/183154483570) --- [ ] (https://www.ebay.com/itm/Alla-Lighting-LED-License-Plate-Light-Tag-Bulb-Side-Marker-Trunk-Lamp-Light-Blue-/183221620912) --- [ ] (https://www.ebay. CREE LED Light Miniature Bulb 12-24V ( 5W ). Item 131567073825 - 194 T10 Wedge W2.1x9.5d. 194 168 T10 Wedge W2.1x9.5d. Kelvin (Color) - 1000K Red. We have all kinds of automotive lighting products such as HID bulb, HID Kit, Halogen bulb, LED bulb, LED Kit, Wiring Harness. "Dorman Side Marker --. 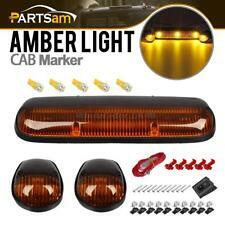 Notes : Side marker lighting exterior lamp type; Installation hardware included; 2 bulb quantity. Location : Right, Front. Condition : New. Therefore all implied warranties that may apply to your part are limited to the duration of this written warranty. Product Description Working Voltage:9v-30v (fit 12V, 24V vehicles) Fits:3057 3057A 3157 3157A 4057 4057A 4157A 4157etc. Easy installation, plug and play. Amber/Yellow color Application: Turn Signal Lights,Side Marker Lights Load resistor or flash relay might be needed to prevent the hyper flash when replacement for Turn Signal Lights. Advantage: Non-polarity design,Compatible for both CK/SRCK and Standard socket. More than 300% brighter than original halogen bulb. full Aluminum Housing with Projection lens for Maximum Light output and better heat distribution. built in Constant Current IC for Longer life span & Low Power Consumption. .
5xHigh Power Cab Marker Roof Lights 194 T10 10-5730-SMD Amber LED Bulbs for Ford. 5x168 5-5050-SMD Pink-purple LED bulbs direct fit Cab Roof Top Light Marker Lamp. 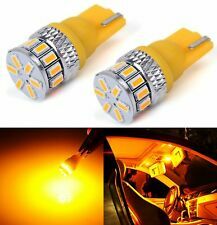 For Universal cab roof running light T10 194 10-3528-SMD LED Bulb 5pcs set Amber.